As of 2015, the territory lying between the 1948 Armistice Line (Green Line) and the Jordan River has a population of three million, including nearly 400,000 Israeli settlers. According to the 1947 UN Partition Plan, the West Bank was to become part of an Arab state. However after the 1948 Arab-Israeli War, the West Bank was annexed by Jordan. Israel gained control over the West Bank after defeating Jordan in the 1967 War. Since the Oslo Accords (1993-1995), the West Bank has been divided into three zones: Zone A is under Palestinian civil administration and security control; Zone B is under Palestinian civil administration and Israeli security control; Zone C is under Israeli civil administration and security control. Zones A and B exist as isolated islands in the midst of Zone C. Israel is therefore able to maintain complete control of the areas under Palestinian administration. The presence of historical Jewish sites in the West Bank dating back to the ancient Israelite kingdoms of Judah and Samaria (900-500 BC) has motivated many Israelis to settle in the West Bank since 1967. Israeli settlements in the occupied territories violate the duties of an occupying power under Fourth Geneva Convention. The expansion of these settlements together with their network of settler-only roads and security checkpoints has hindered Palestinian development and restricted their freedom of movement. 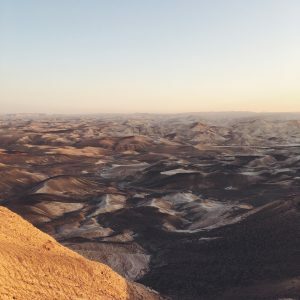 Churches for Middle East Peace (CMEP) opposes the severe limitations on Palestinian self-determination, freedom of movement, and economic activity posed by settlement expansion. CMEP also fears that these facts on the ground are undermining the possibility of a two-state solution. NOTE: Beginning in 2017 the State Department dropped the usage of the phrase “occupied territories” from its human rights report on Israel–a decision CMEP opposed.